Texas lost five rigs drilling for oil and gas this week, leading the nationwide decline of eight active drilling rigs. Rigs actively drilling for oil fell by five, while the amount of rigs seeking natural gas slipped by two. Another undescribed miscellaneous rig also was taken out of service. Apart from Texas, Oklahoma dipped by three rigs and Louisiana lost two. Texas saw a decline of three rigs, while North Dakota and Louisiana also had small dips. Only New Mexico added multiple new rigs, growing by four, according to weekly data collected by Houston energy services firm Baker Hughes, a GE company. There are now 858 rigs drilling for oil with more than half of them – 476 – situated in the booming Permian Basin in West Texas and New Mexico. There are exactly 187 gas-seeking rigs and just one miscellaneous rig, creating a total rig count of 1,046. The next most active area after the Permian is South Texas’ Eagle Ford shale with 81 rigs and then Oklahoma’s Cana-Woodford shale with 71 rigs. 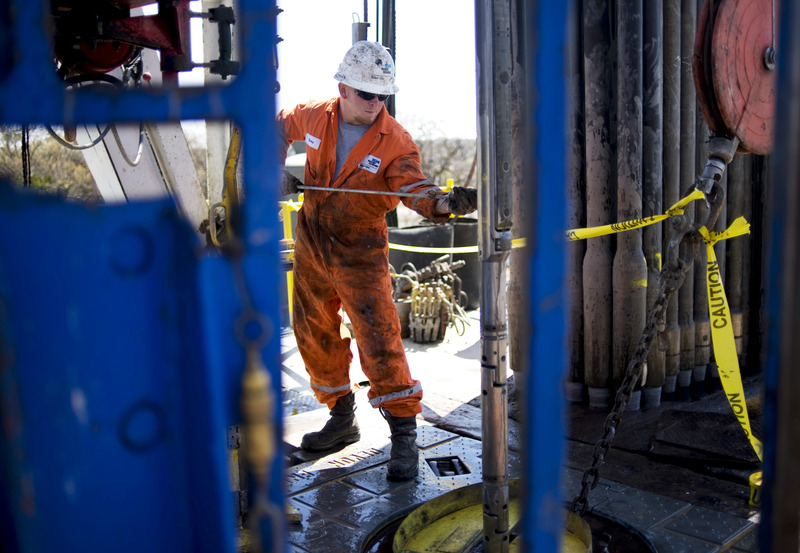 Texas is home to 523 rigs overall – exactly half of the nation’s total – while Oklahoma is second with 138 rigs. New Mexico is next with 103 rigs, surpassing the triple-digit threshold for the first time in years. With this week’s dip, the oil rig count is down 47 percent from its peak of 1,609 in October 2014, before oil prices began plummeting. However, rigs today are able to drill more wells than before and to deeper depths to produce more oil and gas. That’s largely why the U.S. is producing record volumes of both crude oil and natural gas.